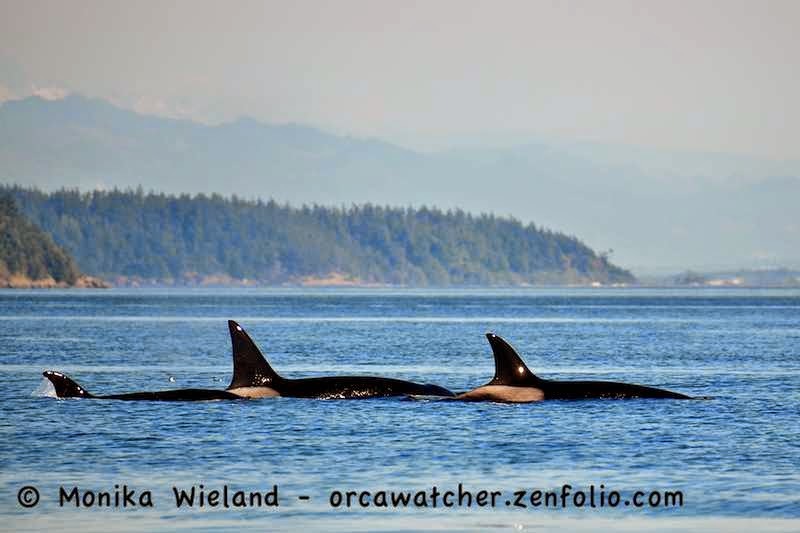 Orca Watcher: August 26th: Ts Everywhere! On Tuesday, August 26th I got to go out on the zodiac the Western Explorer with a friend who was about to leave after spending the summer interning here. 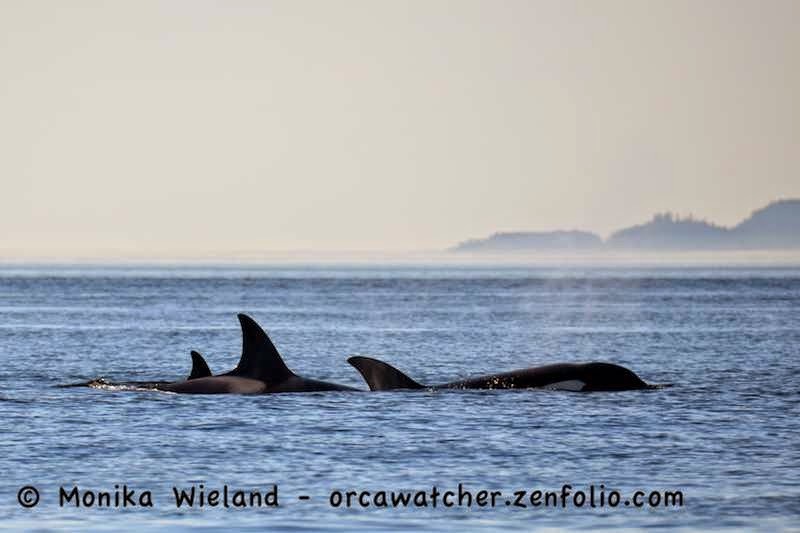 With some residents having gone out west the day before and others way up north out of range, first thing in the morning the whale report was looking a little questionable. I had a good feeling about the day, however, and it turned out my gut reaction was right. There were transients ("Ts") all over the place! When we left the dock in mid-afternoon, one group of Ts was right outside Friday Harbor! It was the T65As, a group that has been around a lot this summer. 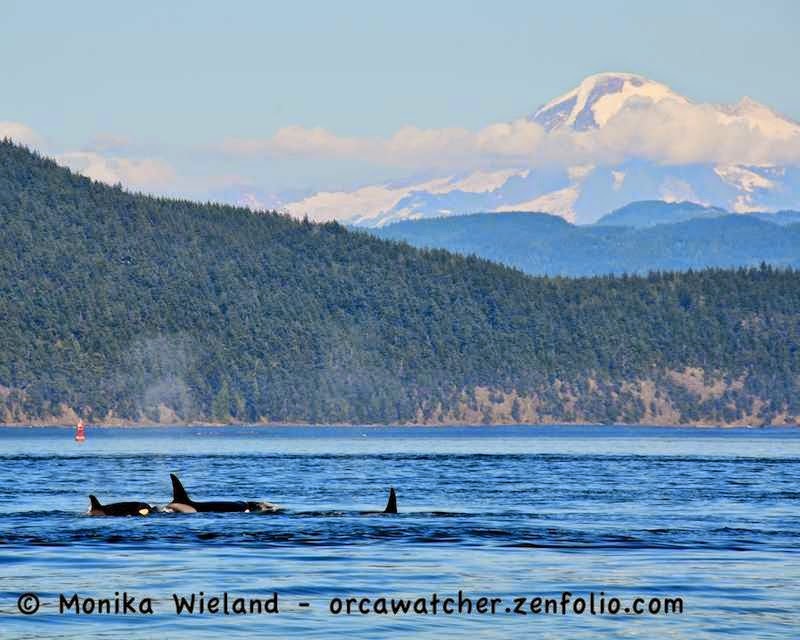 With quite a few boats on scene and reports of another, larger group of transients not too far away, we just took one quick look at the T65As then headed east through the San Juan Islands towards Rosario Strait. 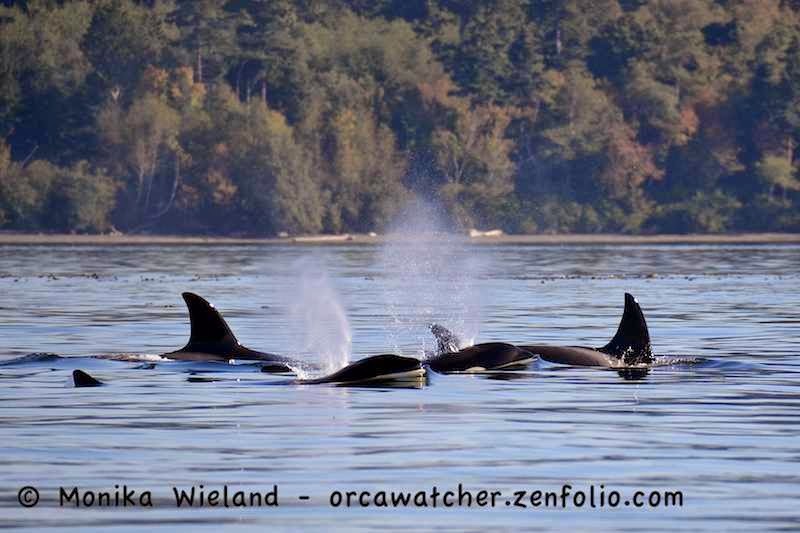 As we got close, the whales fanned out into no fewer than four different groups as they rounded the eastern tip of Orcas Island. 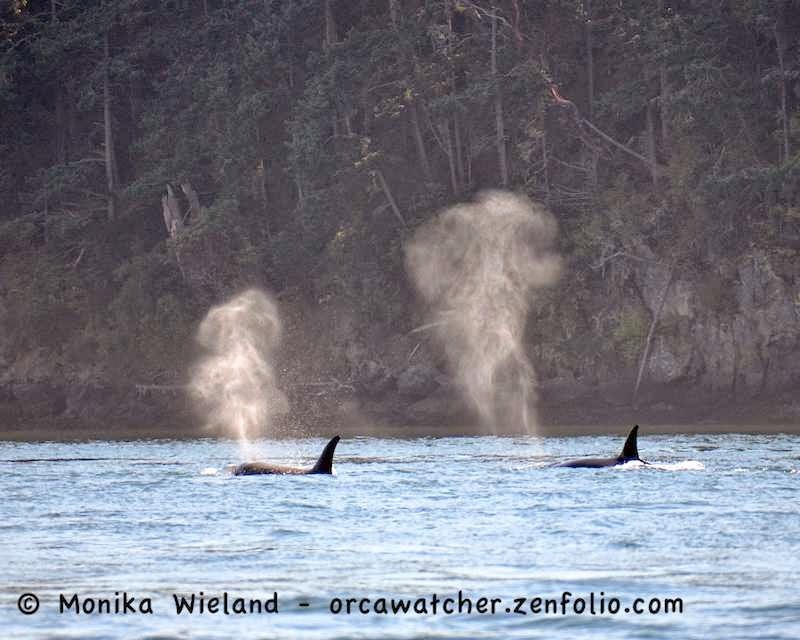 I've been watching whales here for over ten years, but this was something I had never seen before - we were with one group of transients, and just about everywhere you looked you could see another group! It was more like watching a spread out group of resident matrilines. Turns out the whales were not in nice, orderly groups however. The different transient family groups present were all mixed up, and with no adult males present (just about 20 transient females and juveniles!) it proved difficult to get IDs, both while we were there and later from my photos. The best as I could piece it together, present were the T34s, T36s, and T37s, but I don't think that's enough whales to account for everyone there, so I think there was at least one more family mixed in there too! I love being on the water late afternoon/early evening - the lighting is so great. And I got to do it twice in three days! Groups were just meandering this way and that - they didn't seem to have any destination in mind, but they didn't really seem to be hunting either, at least not as far as we could tell. Right before it was time to leave, three of the groups met up and gave us one last beautiful surfacing. It's always interesting to think about residents and transients interact, or at least how they share the habitat. There are definitely days we have both ecotypes in the area, but it also seems like at times its either one type or the other that's prolific throughout the Salish Sea. This was definitely a transient day! There were even more groups than the five that we saw, with no residents around at all. 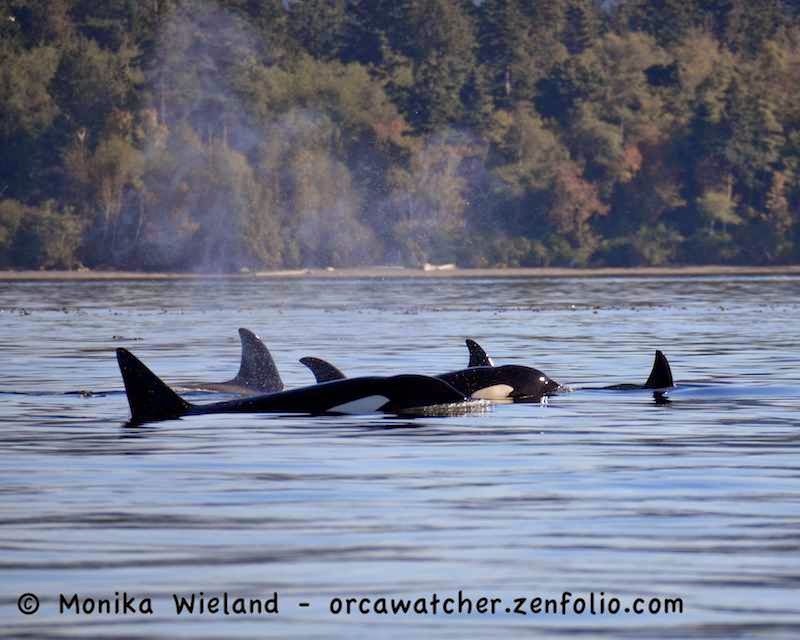 I estimated there were probably about 30 transients around! Other days we have three or four groups of residents and no one finds any Ts! I really do wonder what they think of each other. It's hard to believe we're already approaching September. 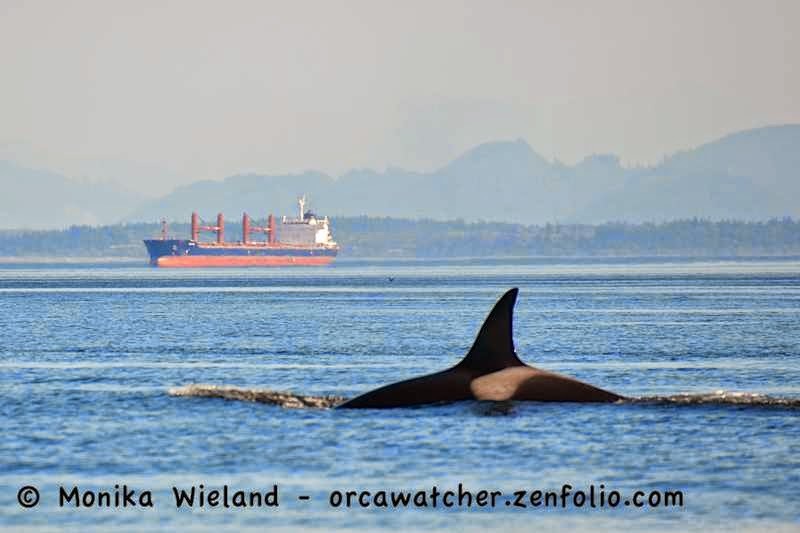 I'm definitely not ready for the days to be getting shorter, but traditionally September is one of my favorite months of the year here, including having some of the best whale sightings! I can't wait to see what this September will bring. Regarding interacting I assume that the Ts and Rs have some body language in common but do they have any vocalisations in common they may understand from the other group? Also being marine mammal predators have the Ts ever been known prey on small/young/weak Rs how would other members react/defend? Dave - sorry for the delayed response! Their vocalizations are completely different, which initially would make us think they can't understand each other at all....but I wonder if that's really the case. 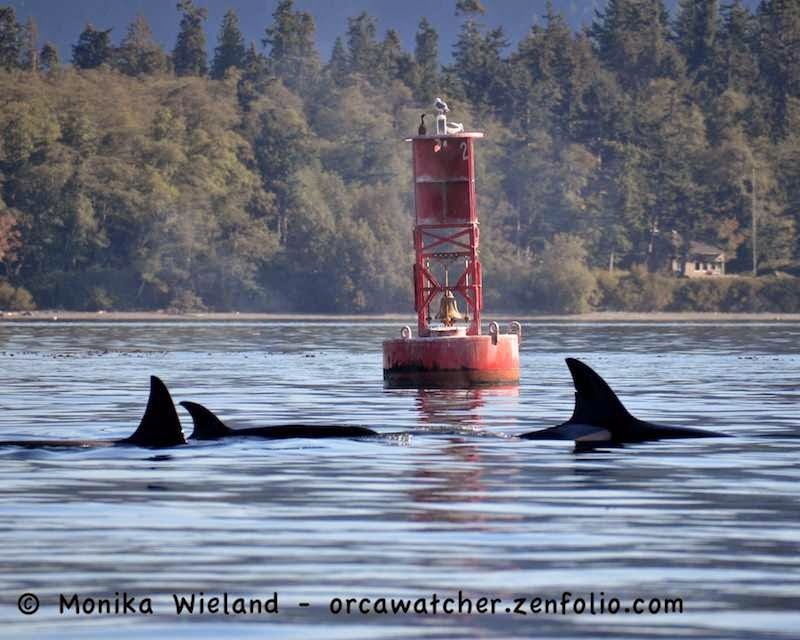 In captivity, whales from different populations - including residents and transients - have been mixed, and while they keep their natal vocalizations I have no doubt they're communicating acoustically. There's never been any documented cases of Ts attacking residents, but the theory is certainly out there that it might happen. There was one potential observed aggressive interaction where a resident male may have assaulted some Ts that got too close - this was several decades ago in British Columbia. While no studies have been done to my knowledge, it definitely seems like there's generally some casual avoidance of one another - if a big group of residents coming down the strait, a small group of Ts will likely make a 90 degree turn and head elsewhere. The New Word of the Summer: Hodgepod!